Perfect day-in-the-city dress in a sophisticated soft sheer with full skirt and sleeves. Simplicity Printed Pattern 3848. Sizes 12 to 20. 35¢. Size 14 requires 5 3/8 yards of 35" fabric. Perfect day-in-the-country dress in neat checks. 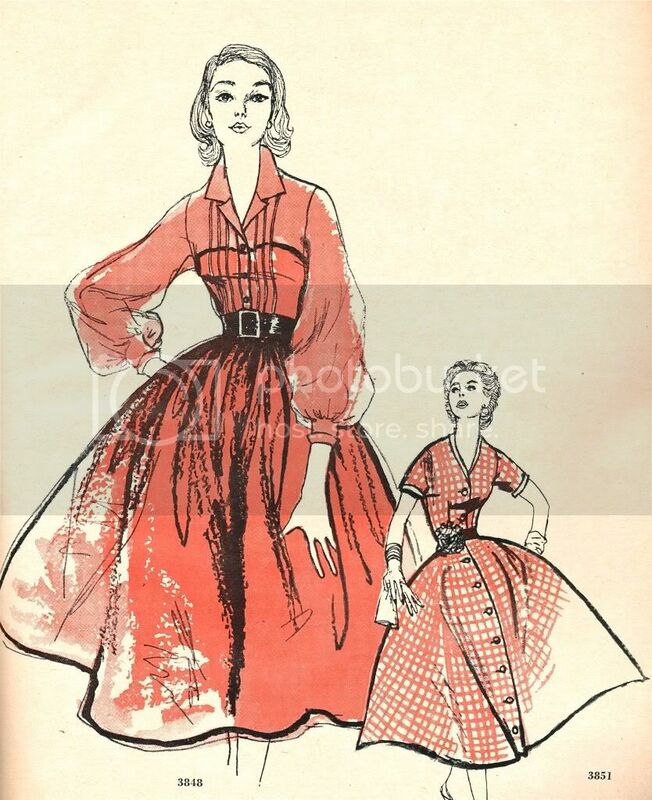 Simplicity Printed Pattern 3851. Sizes 12 to 20. 35¢. Size 14 requires 4 5/8 yards of 35" checked fabric, 3/8 yard of 35" fabric for trim. Full-blown skirt and great big, impudent bow. made in the kind of checks you see coming. Simplicity Printed Pattern 3850. Sizes 12 to 20. 35¢. Size 14 requires 5 1/4 yards of 35" fabric. Cool and uncluttered little summer dress. 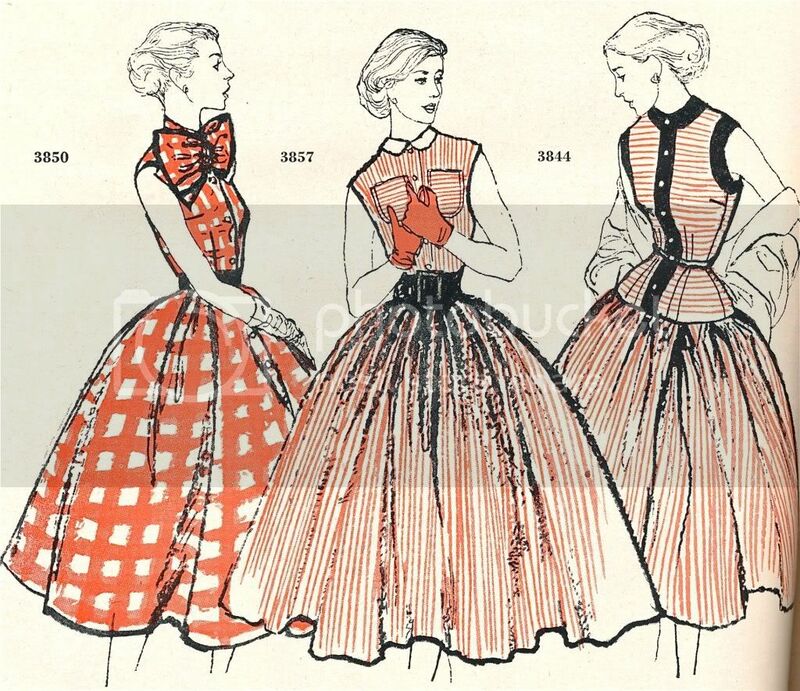 Simplicity Printed Pattern 3857. Sizes 11 to 18. 35¢. Size 13 requires 4 1/4 yards of 35" lengthwise-striped fabric, 1/4 yard of 35" fabric for collar. Horizontal stripes above vertical stripes, Simplicity Printed Pattern 3844. Sizes 12 to 20. 35¢. Size 14 requires 3 3/4 yards of 35" lengthwise-striped fabric, 3/4 yard of 35" fabric for trim.